Maximize your home’s winter curb appeal by following our tips on updating your garage door, keeping a beautiful front lawn and adding new color to your front door. Take some time to look at your home with a critical eye. What catches your attention? Maybe you’ve been considering a garage door update, but couldn’t decide on the style that would best accentuate the personality of your property. 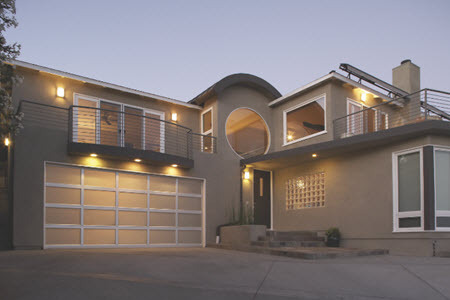 One way to modernize your home’s facade is the Modern Aluminum Model 521 garage door that offers homeowners more design options while enjoying the benefits of an aluminum garage door. Available in a wide variety of colors and four wood grain finishes, it provides more design flexibility while enhancing the style of any architectural structure. For fans of an elegant and classic look, a real wood door from our Traditional Wood Collection or a Signature® Carriage Collection delivers rustic authenticity, with modern durability and convenience. 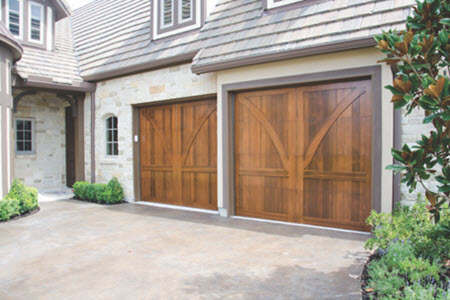 These garage doors combine technical benefits with expert Amish craftsmanship that reflects handmade artistry. 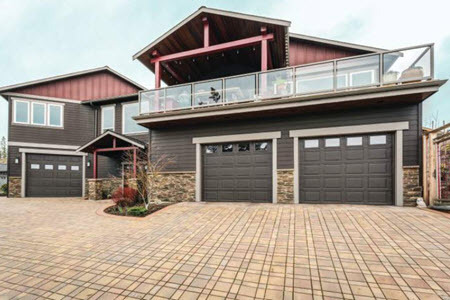 If you are thinking about how best to keep your family warm this winter, our Thermacore® Insulated Steel Garage Doors are the ideal option to seal air leaks while adding aesthetic value to their homes. These stylish garage doors are adding comfort to your home by providing protection from air infiltration and temperature changes. 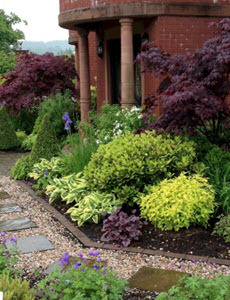 A welcoming front lawn helps with your home’s presence and engages with the neighborhood in a friendly way. To improve on your winter curb appeal, start with clearing the fallen leaves and trimming the grass. Next, install landscape lighting, another addition that would greatly increase your home’s appeal while providing safety and security. 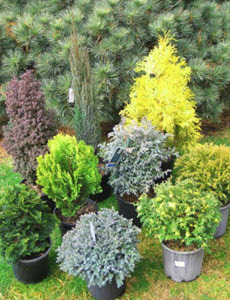 Also, look into getting plants that are both heat and cold tolerant like Calendula and Pansies to enjoy an evergreen garden. 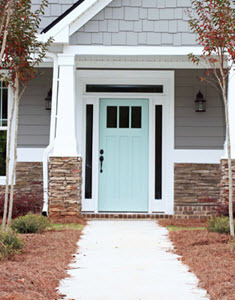 Your home's front entry is the first thing that people see when they arrive and a focal point for its curb appeal. 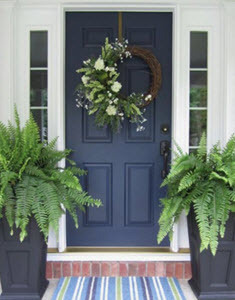 This winter, make a statement and give your front door a burst of color. Contemporary homeowners are branching out from the traditional classic green, red, and black colors thus, try an original shade like bright yellow, elegant indigo or mint. Another quick way to improve your house curb appeal is symmetry. This type of design is eye-pleasing, yet super simple to arrange. Winter season can be challenging for homeowners — from cleaning the gutters to trimming the trees and having the heating equipment checked. For curb appeal, there’s no need to succumb to the winter woes. Follow these simple steps to make your home more welcoming this winter.